Internationally successful in the fields of cookery, craft, wellbeing and fitness. THE specialist in mass-market guidebooks. We’re utterly passionate about books. 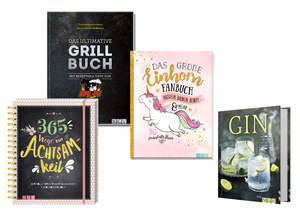 Whether it’s a cookbook, a how-to guide or a gift volume, there’s an NGV book to be found in almost every home. 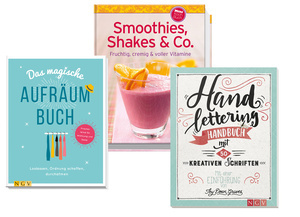 Founded in 1983 as Naumann & Göbel Verlag, today NGV is a modern and international publishing company. The secret to our success is that we love what we do. We create lovingly illustrated books on all sorts of topics that bring to life a burst of colour. As one of Europe’s leading providers of high-quality but affordable illustrated guides and reference books, NGV has provided a benchmark in many subject areas. Because of this, big brands such as SINGER, Schülerhilfe, essen & trinken Für jeden Tag and CHEFKOCH are happy to see their labels on our products. 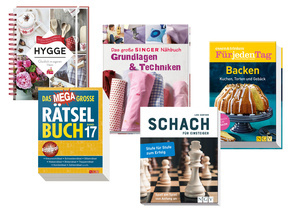 Whether it’s enticing cookbooks, craft or fitness guides, or puzzle books, the high-quality content and production meet the needs of our readers in 29 languages. NGV titles are available everywhere in Europe where footfall is high: in shopping centres, department stores, specialised markets and bookstores, as well as online. Whether it’s mindfulness, gin facts or unicorn crafting ideas, we’re often the first to publish a book about it. We discover the hottest topics through special interest portals, social media channels, communities and print media. Thanks to our regular exchange with publishing houses in Germany and abroad, we always have our finger on the pulse. We communicate with our readers on our Facebook page, and we owe some of our most successful books to our fantastic contacts in the blogosphere and YouTube scene. From very early on, we aimed to be trendsetters and significantly expanded our digital know-how. Thus many of our books are now available as e-books. 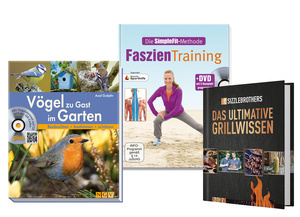 In addition, fitness videos, barbecue how-tos and audio files of birdsong are among the useful extras for download via QR codes, making our books even more attractive.